I have a corny motto: Hope for the best, prepare for the worst, have few if any expectations, show up with a positive attitude, and sometimes magic happens! A recent day tested this when we prepared for high winds, lumpy bumpy seas, along with the strongest currents of the month. 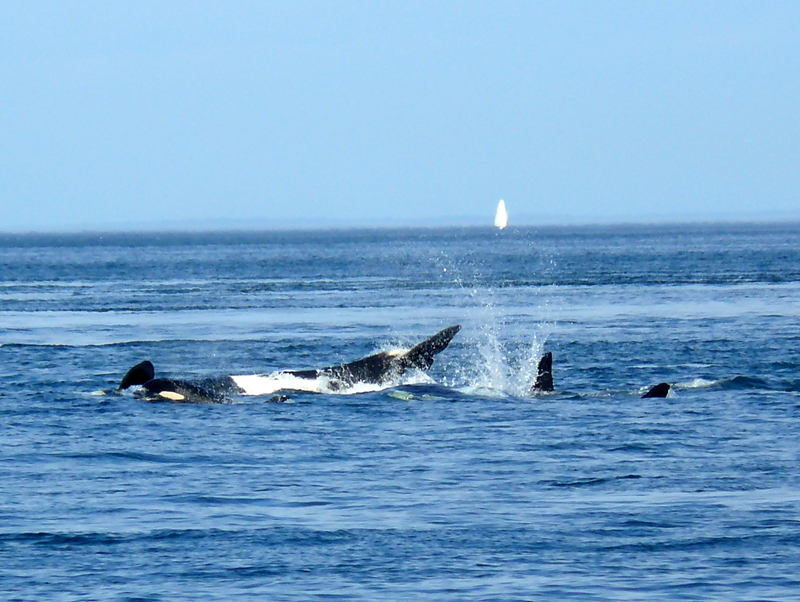 We had reports of orcas on the south side, but weren’t sure they would come our way as we headed north in more comfortable waters, sighting bald eagles, harbor porpoise, harbor seals, and marine birds along the way. 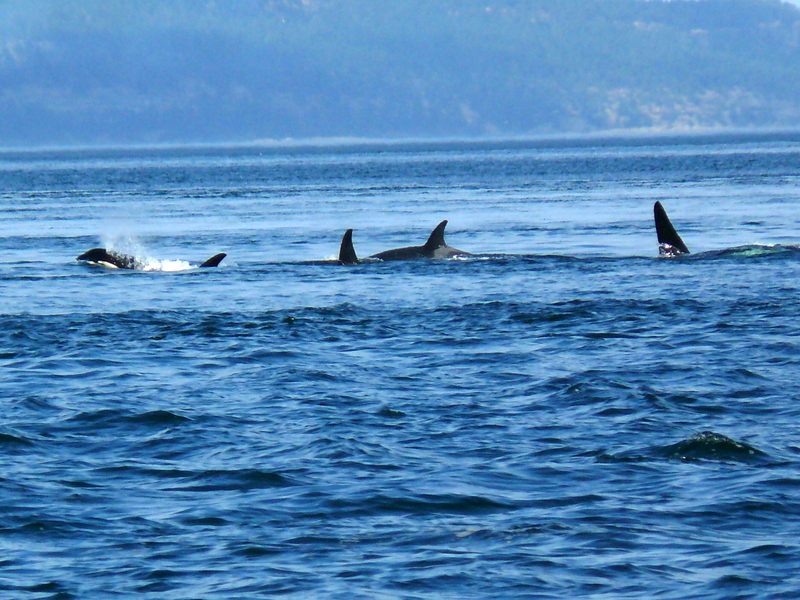 As we rounded to the west, J-Pod families, with J-2 Granny, classically in the lead, displayed many of the behaviors we had been talking about, as if on cue! 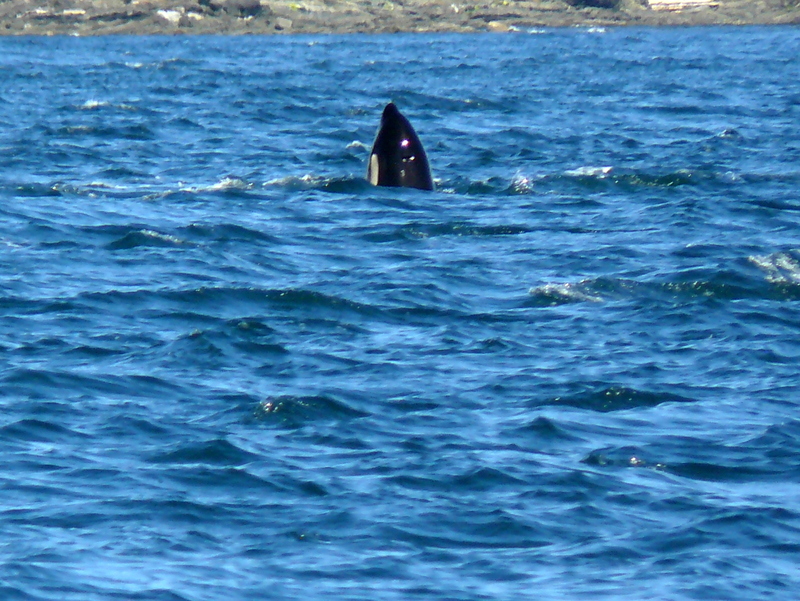 Our guests were delighted, and our timing spot on, for the smoothest conditions and seeing the whales! 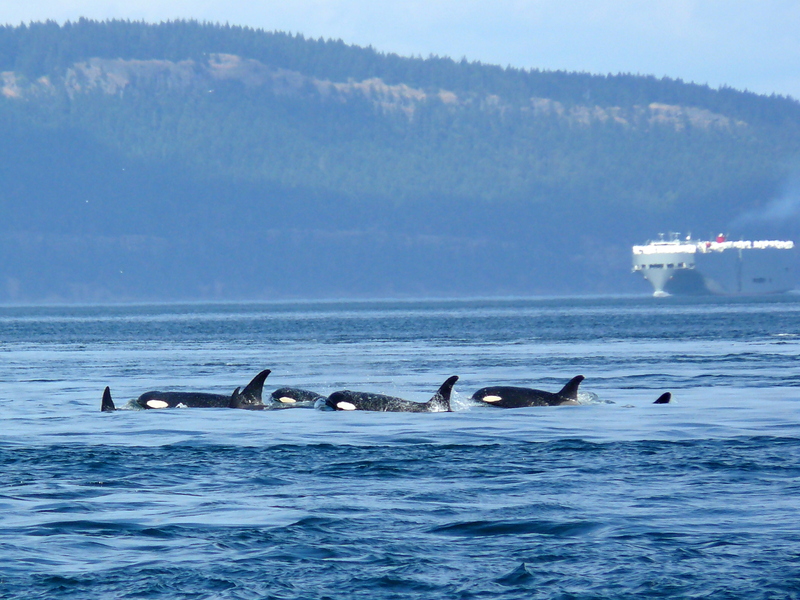 We also had quite a few children on board and since these killer whales are listed as endangered I asked a group if they knew what ‘endangered’ meant. One little girl thought for a moment and said “that means they need something”. 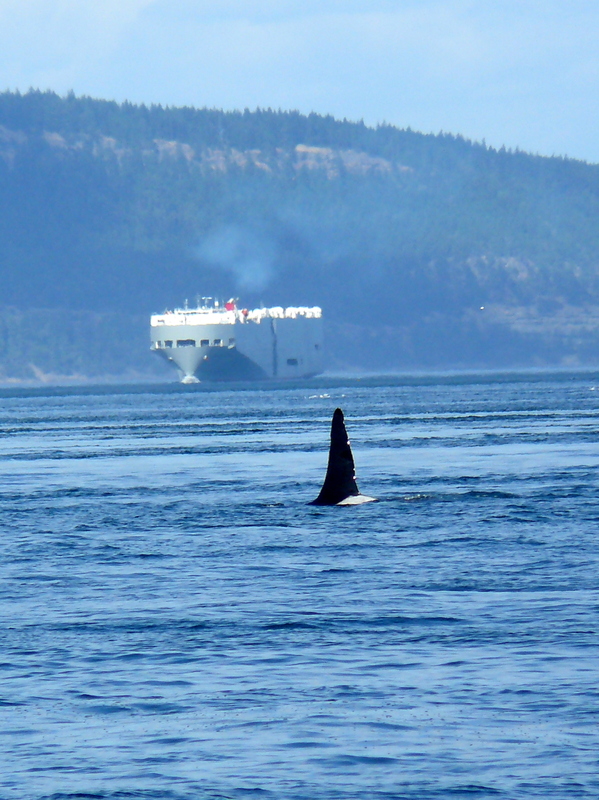 What a great response.Yes, these whales need Chinook salmon, clean water, and our care and respect! 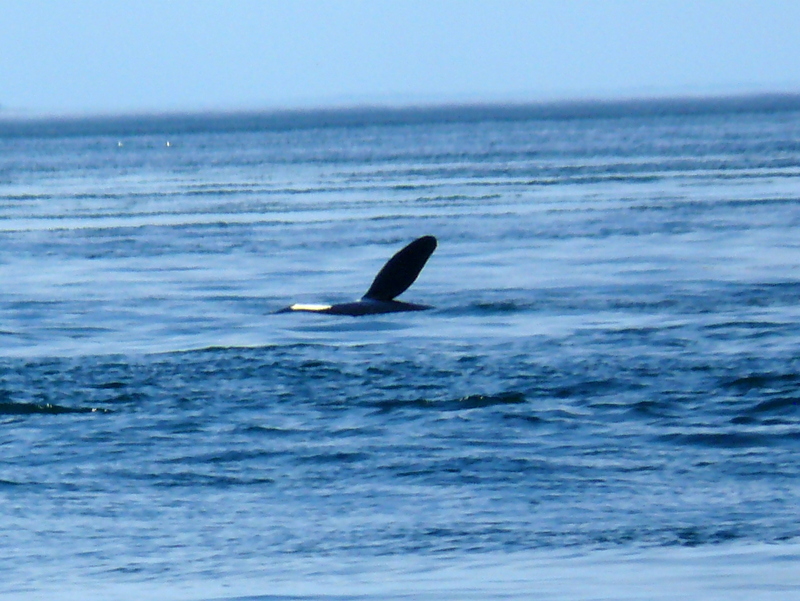 Little J-45 Se-Yi’-Chn, capped off our trip with four consecutive breaches! The day was filled with hope and magic.